The first written document mentioning Valle Piola dates back to the year 1059. In the years following 1152 the mountain areas of the region lost population as people made their way to the much larger city of Teramo. From the 13th century until the time of the Italian Risorgimento (unification), Valle Piola served as a meeting center and hideout for armed brigands, this area being ideally suited for such purposes. During the Second World War, the Italian resistance fighters staged in this area, along with Bosco Martese and other nearby forest tracts of Monti della Laga in their struggles against the occupying German forces. 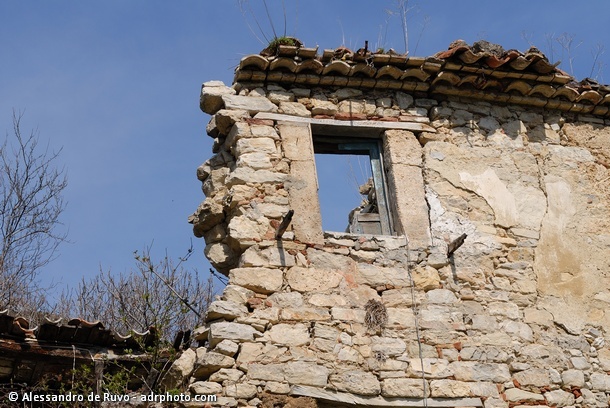 Currently Valle Piola is a deserted village having been abandoned in 1977.